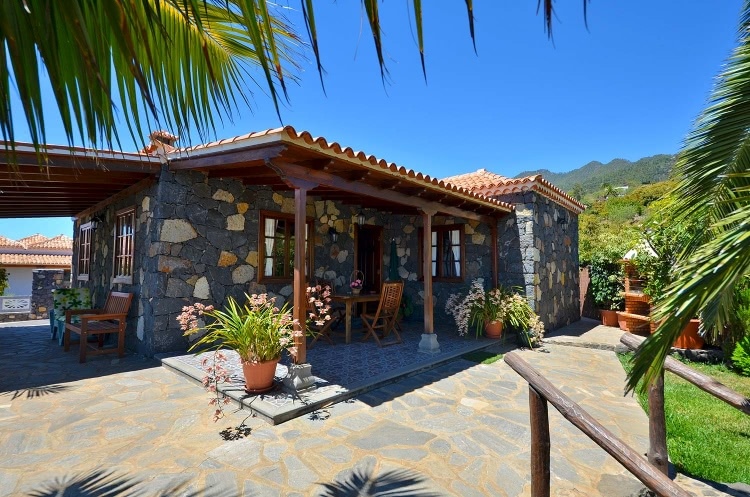 The holiday house Arecida is a very well maintained house with an approximate size of 70 m2 and a view on the atlantic ocean and the mountains of Tijarafe. 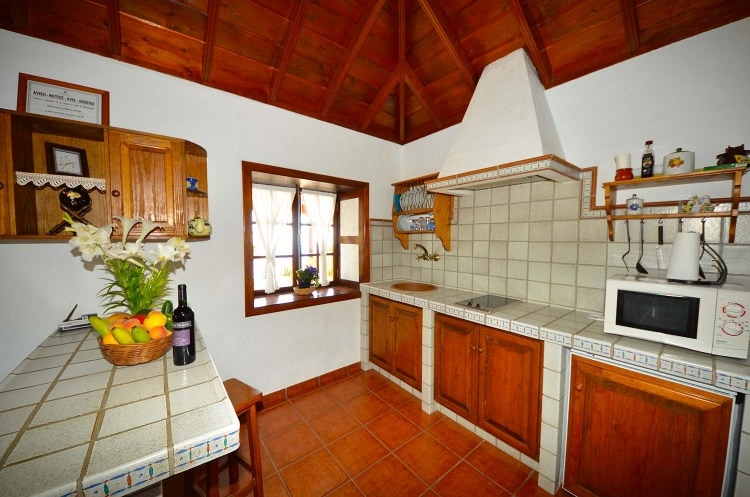 For hikers the house is ideal because it is situated near the hiking trail GR130. As well for guests looking for a relaxing stay the house offers all comforts. 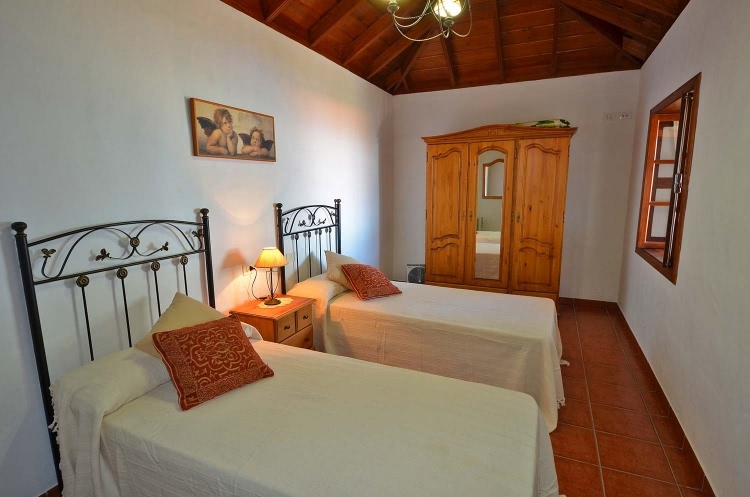 The holiday house Arecida is well equipped and very well maintained. 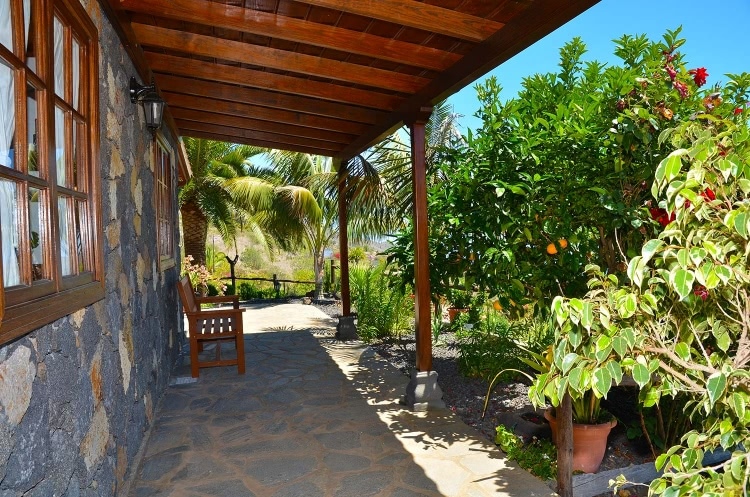 The small garden with sun loungers and beautiful planting offers a gorgeous view on the ocean and the landscape. It is situated in a rural surrounding and the owners are happy to supply the guests with their own organic agriculture products. 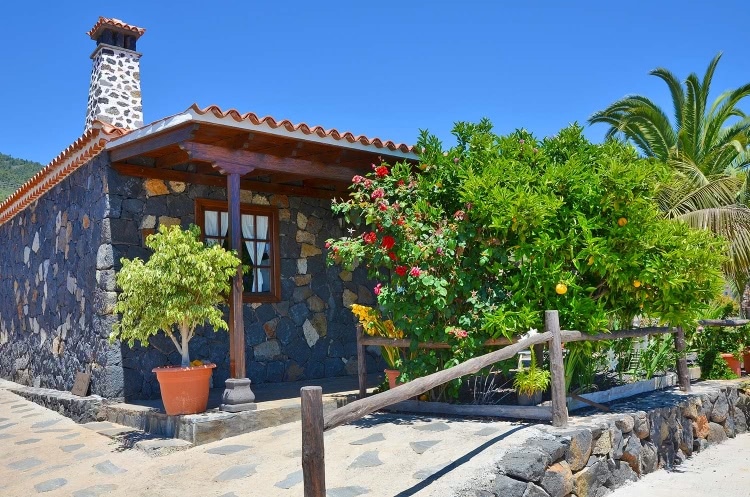 The house is built out of vulcanic stone and has the typical canarian open wood ceiling. The living room is very spacious and combined with the kitchen. There is a big sofa bed on which is space for 2 additional persons. The is a big TV with all satellite channels in the living room. In the bedroom you have 2 single beds which of course can be put together. The big cupboard has plenty of space for all your clothes. 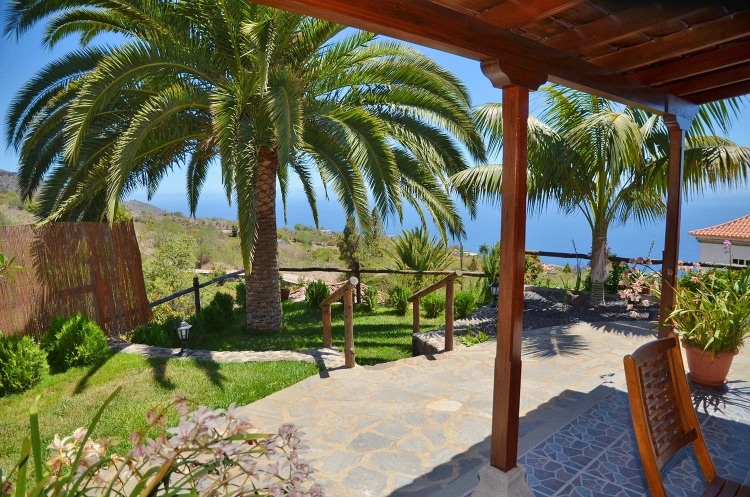 From the covered terrace you have an ocean view as well as a view to the mountains of Tijarafe. Table and chairs, as well as sun loungers and a parasol are available for the guests. 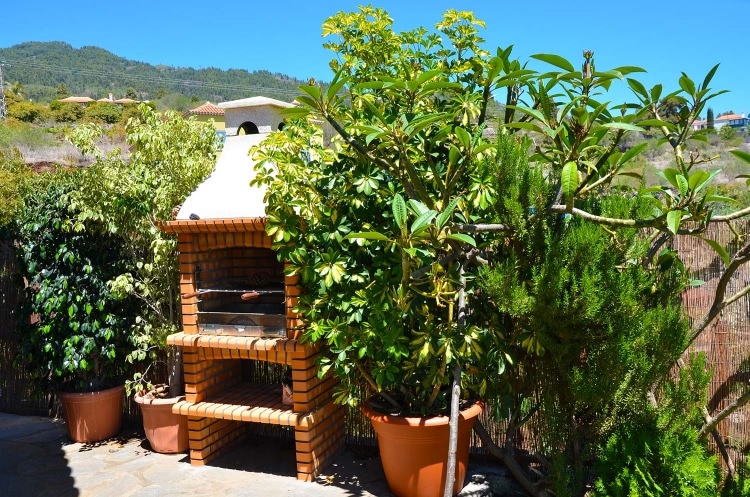 The BBQ is just next to the terrace and can be used for culinary evenings. 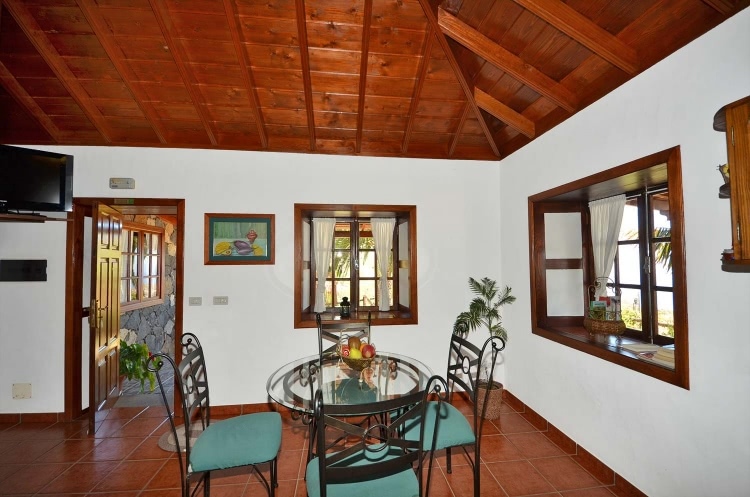 For each additional person the house costs 10 Euro per night. 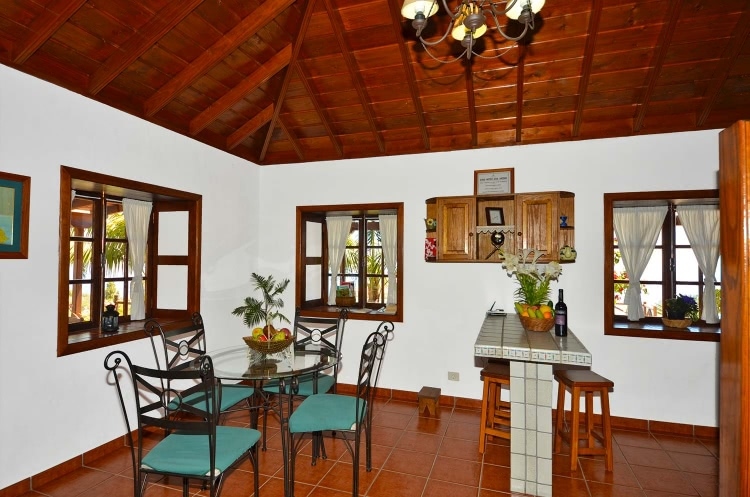 Final cleaning of the house as well as the rental car and airport service are included to the price.